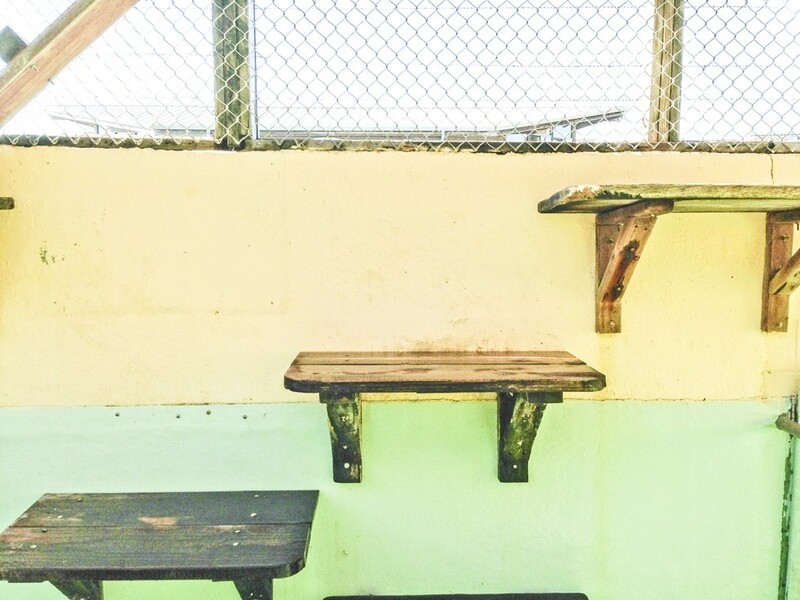 BLANK WALLS: Under threat of legal action from the Animal Legal Defense Fund, operators of the Morro Bay Aquarium removed old signs that allegedly misled visitors into believing the facility continues to rehabilitate seals and sea lions. After receiving a cease-and-desist letter from the California-based Animal Legal Defense Fund (ALDF), the operators of the Morro Bay Aquarium have removed signage that potentially led visitors to believe seals and sea lions housed there are rehabilitated animals. Though the aquarium has lacked a legal authorization to rehabilitate animals since the National Marine Fisheries Service revoked that right in 1995, signs posted on the walls of the sea lion and seal enclosures previously indicated otherwise. 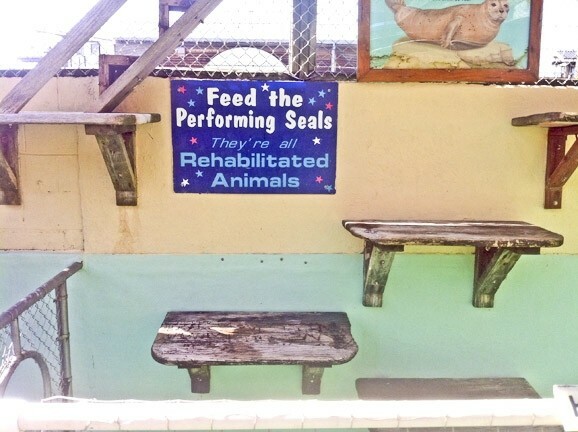 One such sign read, “Feed the Performing Seals. 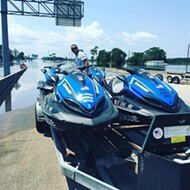 They’re all Rehabilitated Animals.” Another informed visitors that the animals were either injured or distressed, could not be returned to the wild, and donations were tax deductible. As of press time, all those signs had been removed. According to the aquarium’s Marine Mammal Inventory Report, only one of the three California sea lions was rescued from the wild—Maggie, a 27-year-old sea lion was brought to the aquarium as a stranded pup in 1987—while the other two sea lions were purchased from Sea World in Florida. Smokey, the lone harbor seal, was also purchased from Sea World. Asked about the removal of those signs, the aquarium’s manager, John Alcorn, said “they were old and they were no longer current; the information wasn’t current anymore.” He added, “They’re just little signs,” but declined to comment further. In its letter, the ALDF accused aquarium owners of misleading visitors into believing the facility is a rehabilitation facility through signage, brochures, and statements to local media. “While it is surely true that these marine mammals are distressed—suffering, as they do, from intensive confinement in your inadequate facility—they are in no way being rehabilitated,” wrote the ALDF. The ALDF alleged that the signs violated California’s False Advertising Law. More recently, the ALDF filed two complaints with the California Office of the Attorney General and the Internal Revenue Service alleging the aquarium is in violation of its 510(c)(3) tax-exempt status. Citing previous citations from the U.S. Department of Agriculture, lack of proper veterinary care, and what the ALDF claims is a questionable education function, the group asked for an investigation into the aquarium’s charitable purpose in both complaints. The Animal and Plant Health Inspection Service has conducted six inspections since March 2012. The aquarium hasn’t received any non-compliance notices since July 24, 2013, when it was cited for dry resting areas that were in disrepair. New Times previously reported that 24 of the 40 marine mammals referred to in federal inventory records died at the facility. While sea lions live an average 15 to 20 years and the seals live to be 25 years old, available data showed that sea lions in the Morro Bay Aquarium had an average lifespan of 9.06 years and harbor seals had an average lifespan of 6.73 years. This image was taken on a recent New Times visit. In its cease-and-desist demand letter, the ALDF said the aquarium’s statements could have misled as many as 3.6 million customers into believing it was a rehabilitation facility, based on aquarium officials’ estimates that 200,000 people visit the aquarium annually, and it’s been 18 years since the aquarium lost its authority to rehabilitate marine mammals. It references visitor comments posted online as evidence that the misleading statements resonated with customers. At the time, city officials were just beginning discussions about the future of the aquarium’s lease, for which the city is the lessor as with other properties that line the water. The Morro Bay City Council voted in 2013 to open up the lease to new bidders. All requests for proposal are due Oct. 16, though as of press time no one had submitted a formal bid, according to the Harbor Department. Jenni James, the ALDF litigation fellow who wrote the cease and desist demand, as well as both complaints, told New Times she was prepared to file a lawsuit if the signs weren’t removed, but the aquarium’s attorney, James Tavener Holland, contacted her one day before the Jan. 24 deadline. Holland declined to comment. Unless the aquarium owners successfully submit a proposal to extend their lease with the city, the existing lease is scheduled to expire in September 2018.